As a speaker at Percona Live, you’ll have the opportunity to CONNECT with your peers—open source database experts and enthusiasts who share your commitment to improving knowledge and exchanging ideas. ACCELERATE your projects and career by presenting at the premier open source database event, a great way to build your personal and company brands. And influence the evolution of the open source software movement by demonstrating how you INNOVATE! Community initiatives remain core to the open source ethos, and we are proud of the contribution we make with Percona Live in showcasing thought leading practices in the open source database world. With a nod to innovation, this year we are introducing a business track to benefit those business leaders who are exploring the use of open source and are interested in learning more about its costs and benefits. The Percona Live Open Source Database Conference 2019 Call for Papers is open until January 20, 2019. We invite you to submit your speaking proposal for breakout, tutorial or lightning talk sessions. Classes and talks are invited for Foundation (either entry-level or of general interest to all), Core (intermediate), and Masterclass (advanced) levels. If your proposal is selected for breakout or tutorial sessions, you will receive a complimentary full conference pass. Best practices and current trends, including design, application development, performance optimization, HA and clustering, cloud, containers and new technologies – what’s holding your focus? Share your case studies, experiences and technical knowledge with an engaged audience of open source peers. In the submission entry, indicate which of these themes your proposal best fits: tutorial, business needs; case studies/use cases; operations; or development. Also include which track(s) from the list below would be best suited to your talk. For information on how to submit your proposal, visit our call for papers page. 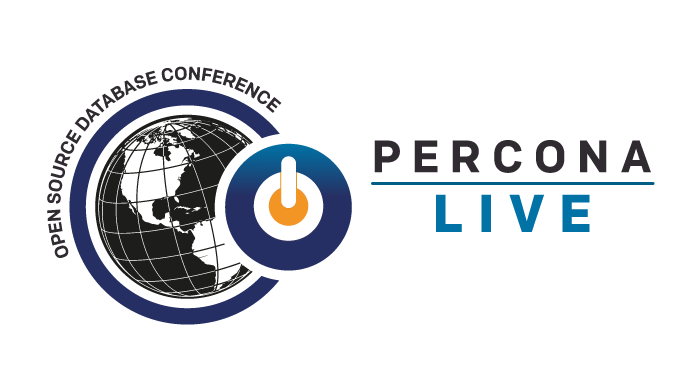 If you would like to obtain a sponsor pack for Percona Live Open Source Database Conference 2019, you will find more information including a prospectus on our sponsorship page. You are welcome to contact me, Bronwyn Campbell, directly.